Vena Mirage is made out of polycarbonate (PC) with soft and smooth rubber coated exterior to provide exceptional grip to your Apple iPhone 7 Plus while protecting it from dust, dings, and dents from everyday use. The slim and stylish profile protects your phone with minimal bulk and complements the essential look of your Apple iPhone 7 Plus. 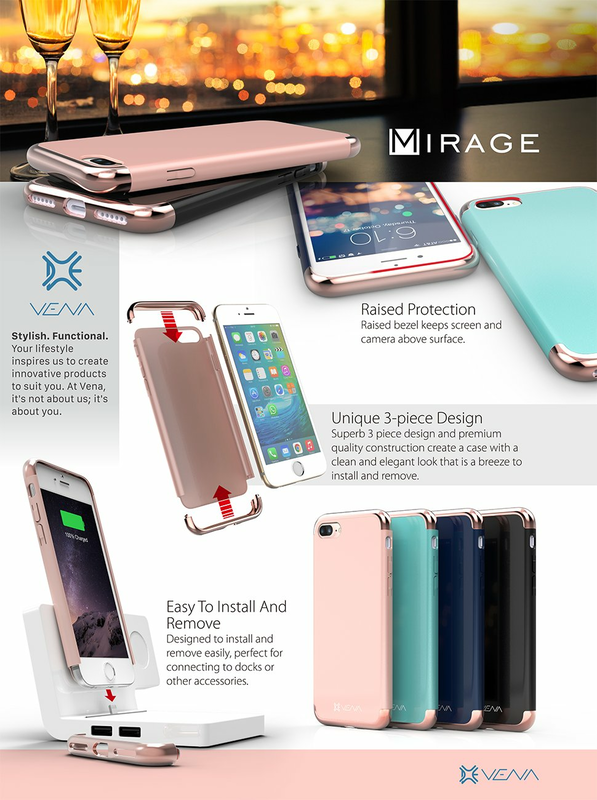 Vena Mirage is designed with precision cut-outs to suit the Apple iPhone 7 Plus and provides effortless access to all ports, buttons, and features. The beveled power and volume buttons are crafted to maintain the same great tactile feedback from your phone's buttons.